Iron steamship, passenger-cargo built 1882 by Gourlay Bros & Co., Dundee, for B.B. Nicoll, Sydney. 425 tons, 274 net. Lbd: 160'4" x 24'1" x 10'2". The ship left Dundee on 18th March 1882 and sailed to Sydney via the Cape of Good Hope. En route the ship stopped in Warrnambool to pick up coal. There, it was inspected by the Belfast and Koroit Steam Navigation Company, who decided to purchase the SS Casino. The steamship sailed onto Sydney to deliver its cargo and then returned to Melbourne to begin the west coast run. Casino was three masted iron screw steamer. One deck, iron framework, a schooner rig and an inverted compound two cylinder 65 horsepower engine built by Gourlay Brothers. In the early days, she was sometimes rigged as a topsail schooner as the shipâ€™s big spread of canvas helped reduce fuel consumption. 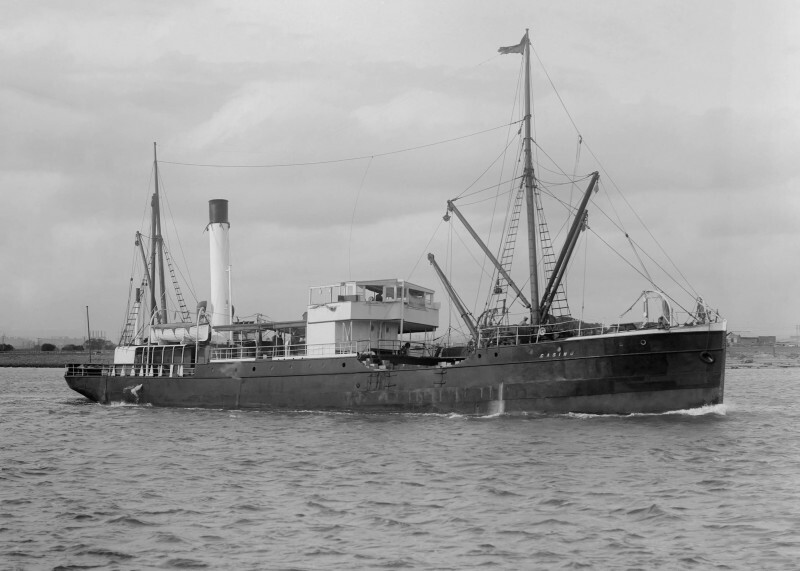 On 10th July 1932, off Apollo Bay Victoria, in heavy weather, she keeled over and sank after striking seabed earlier when attempting to enter port. From a crew of sixteen plus two passengers, only eight survived. Extra Info: John E. Hoskin, Flotilla Australia. Yes David, I think the Lifeboat from her is still around some where. looked like a good one to take a gamble on! mrdot. This photo has been shown 743 times since it was added to the site.